Dairy beats in the heart of almost every New Zealander, and Fonterra has a huge part to play in that. Dairy is who they are and what they do best. With more than 100 years of expertise in producing and developing dairy products, Fonterra is behind iconic Kiwi brands like Anchor, Anlene and Mainland (some of my personal favourite dairy products that I always have in my fridge!). We go behind the scenes with Fonterra to see the transformation of the milk we learned about into quality products that are designed to meet the different nutritional needs of the end consumers. I had my fair share of souper moments in this New Zealand trip, but I have to say, it was a little-child-meets-ice-cream-truck moment when I visited the Eltham cheese factory and The Kapiti Store! Located in Eltham, a small town in South Taranaki, the thriving dairy industry brings in droves of tourists (like me!) eager to have a taste of its artisan cheeses freshly cut off the block. 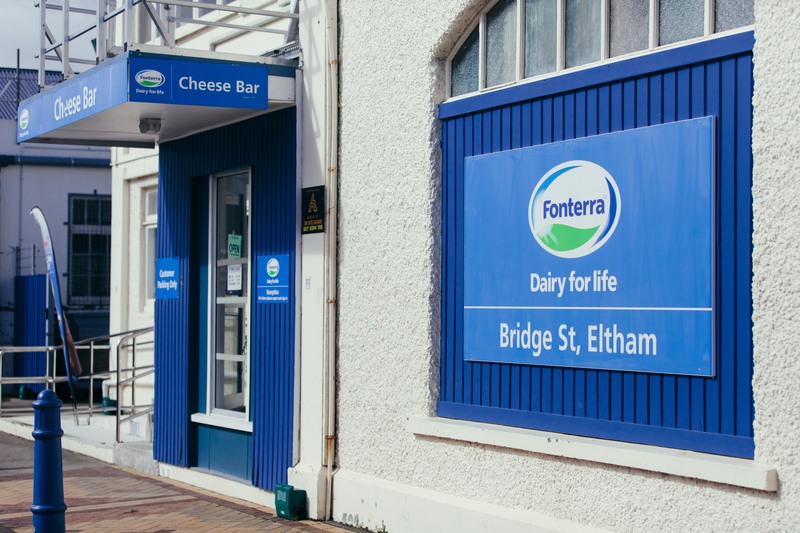 Known for being the only place in New Zealand that manufactures its own rennet for cheesemaking which it has made since 1916, Eltham is also home to the first non-cheddar cheese variant in the country, the blue vein cheese, introduced in 1951. 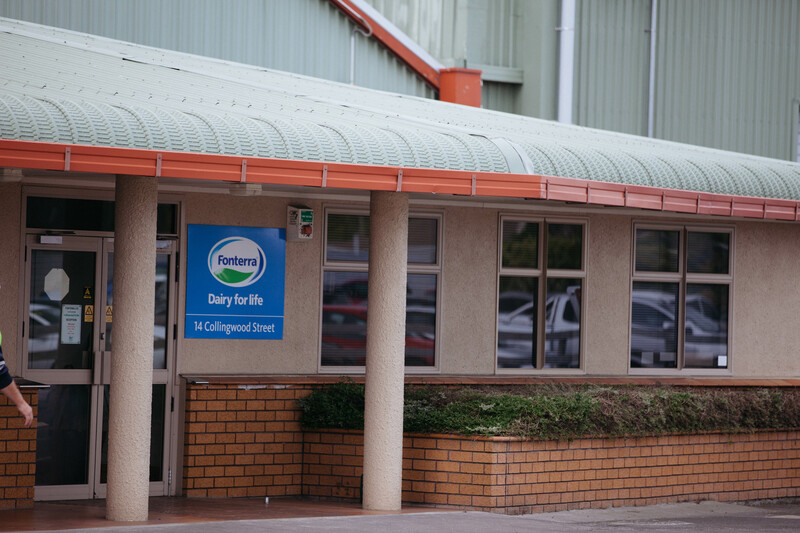 Down the road, the Fonterra-owned Whareroa factory is one of the largest of its kind in the world, almost an intimidating totem with its expansive stainless steel vats and sprawling warehouses. After learning about the milk production at Trewithen Farm, I was all the more curious to see how the milk is converted into high-value, high-quality dairy products, thereby bringing better returns for the farmers. After a safety briefing, we were shown the processes of making feta, halloumi and blue vein cheeses. I was souper excited! The milk from farms is sent to the factory in milk tankers, to be made into milk powder, butter and cheese. Some 1,000 staff here are responsible for processing a whopping 14 million litres of milk per day, an average of 6,000-8,000 litres of milk from each farm. First up, churning butter. I have watched cooking shows that demonstrate how you can churn butter at home simply by whipping heated cream, then allowing it to cool down to about 12-15°C. This home method takes about 24 hours. In a commercial setting, the process takes a grand total of three wink-and-you-miss-it seconds! 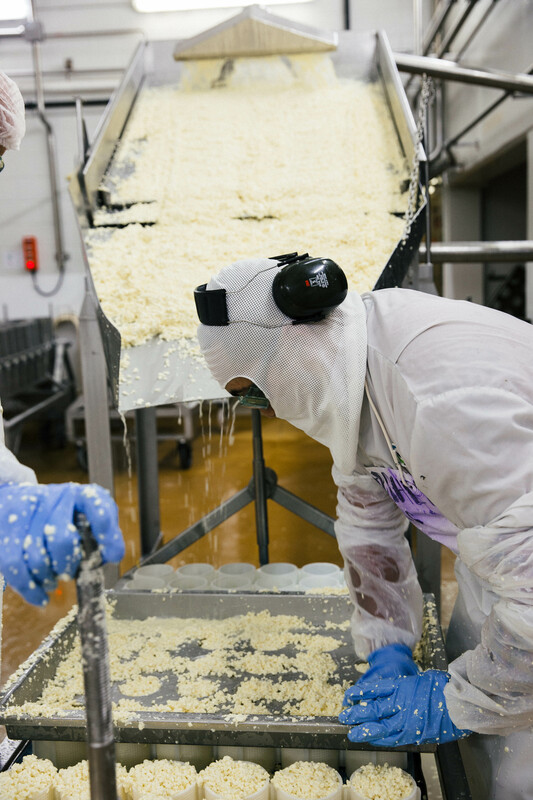 Cheese production at Eltham, by contrast, is a much more labourious art form, aided by the sophisticated facilities and the years of experience of master craftsmen. Typically, 53kg of milk can yield about 23kg of cheese. It starts with a vat of 2,200 litres of milk, reduced down to half the volume when the whey is removed (the whey protein is made into a concentrate for yoghurts and supplements). In the mixing vat, the rennet and starter culture (we were shown the blue vein strain mould) are added. In the Eltham factory, the blue vein culture is kept in a room at a temperature of 70°C, a practice they have held since 1951. It takes 24 hours to press out all the liquid and to turn the mixture six times in a metal container with holes (to allow the mould to work). This is where the cheese block gets its round wheel shape. Each wheel is salted daily for the next four days, then pierced for the mould to penetrate to the centre, before being transferred to the maturation room to be turned on the cheese hoop for the next four weeks. Blue vein cheese is also generically known as blue cheese, and has a distinct smell of ammonia that comes from the cultivated bacteria. The beta carotene in grass is passed on to grass-fed cows, contributing to the unique taste of the blue vein cheese too. You are either Team Blue Cheese or you are not. I was not, but little did I know that I was about to change team on this trip! 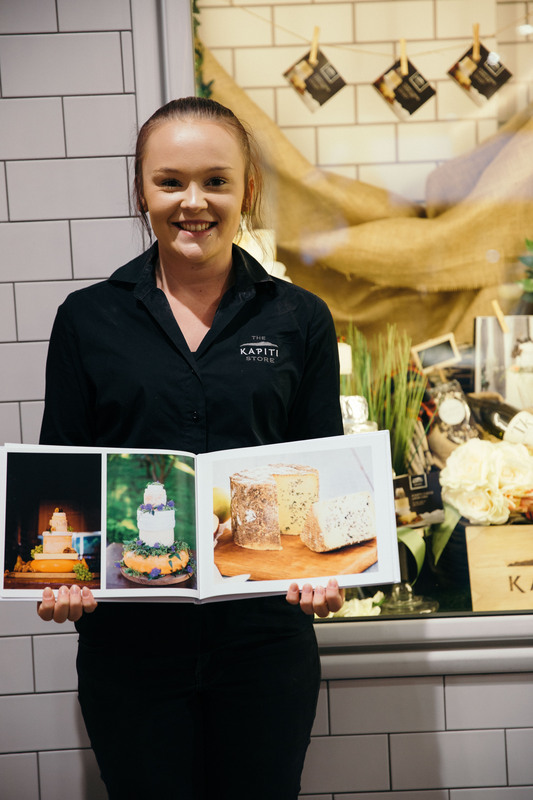 I was introduced to the various types of blue cheese: the Ava Blue is the traditional blue cheese, the Kahurangi which is a creamy blue, and the Kikorangi, a milder blue cheese. The latter has to be cut by hand as it is a natural cheese with an odd shape. When it is very ‘young’ (2-3 weeks), it is very salty and hence not suitable for consumption. 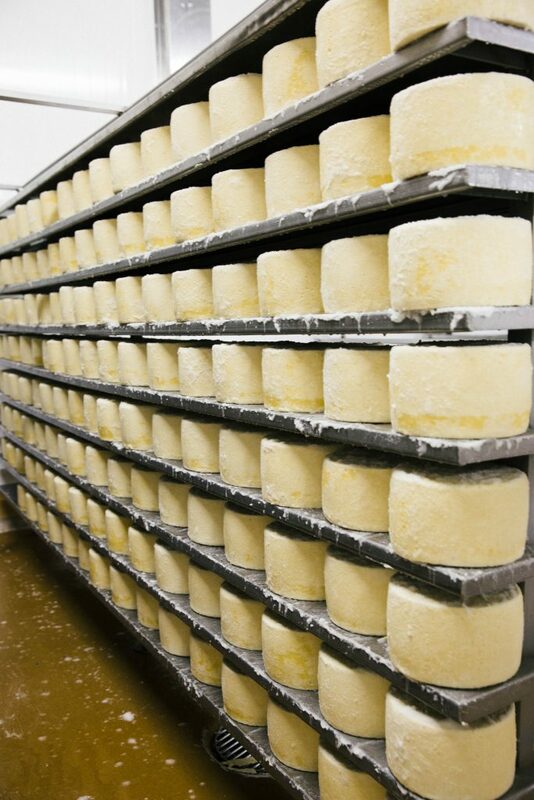 At four weeks, the blue cheese is ready for export with air in the packaging, allowing maturation to continue. For local consumption, the blue cheese is given 8 weeks’ maturation before it is sold. Manual inspection and a taste test of the wheels by the master taster determine if the cheese is mature. Specifically, he looks out for dryness, which is a big no-no for good blue cheeses which are supposed to be moist and creamy. We also had the privilege of visiting the Collingwood Street Facility in Eltham, another Fonterra-operated site. 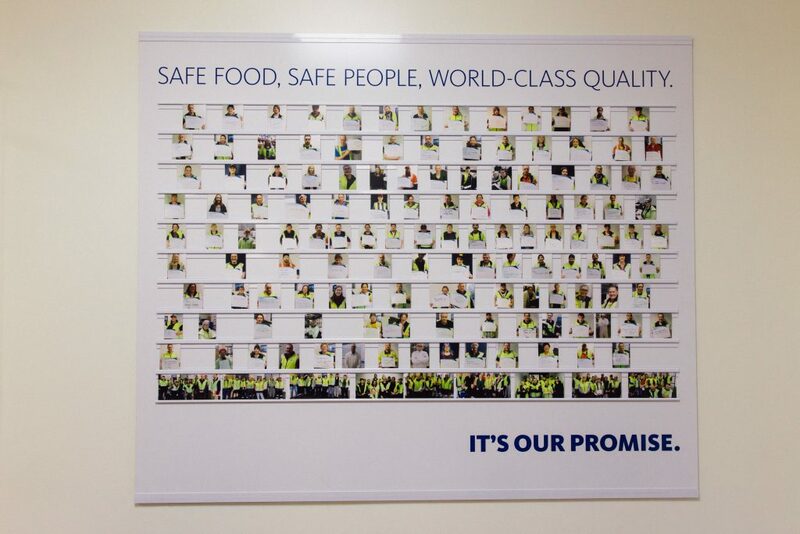 The largest foodservice and consumer cheese operation in Asia Pacific, Fonterra has 500 employees on site with a plant that operates 24 hours a day. This is the place where cheeses are processed, shredded and frozen, impressively processing around 14,000 million tonnes of natural cheese and 8,500 million tonnes of grated cheese per year. This facility alone produces enough cheese to supply 3 billion cheese burgers in a year, or enough cheese to wrap around the earth six times! Jaw-dropping statistics that truly bear testimony to Eltham’s reputation as dairy town, and the profound impact Fonterra has on the town and the larger Taranaki community. Here, a dazzling array of cheeses are processed. Young cheeses are generally milder on the palate, but the flavour profile grows in intensity with more maturation. We picked up handy information on the different kinds of cheeses and here you go, some cheesy tips! A mild-flavoured semi-hard cheese that is similar to Monterey Jack and has a moist, creamy texture. Some have compared it to gouda cheese, but this is generally milder in profile. This cheese is made by lightly smoking for 30 seconds and left to age and mature, and has a signature velvety, creamy texture and a subtle smokiness. Best enjoyed nearer to the expiry date for the full smoky profile, I was told! Unlike the smoked harvarti, this cheese is best eaten as soon as it hits the shelf as it has a tendency to dry out and lose its shape. 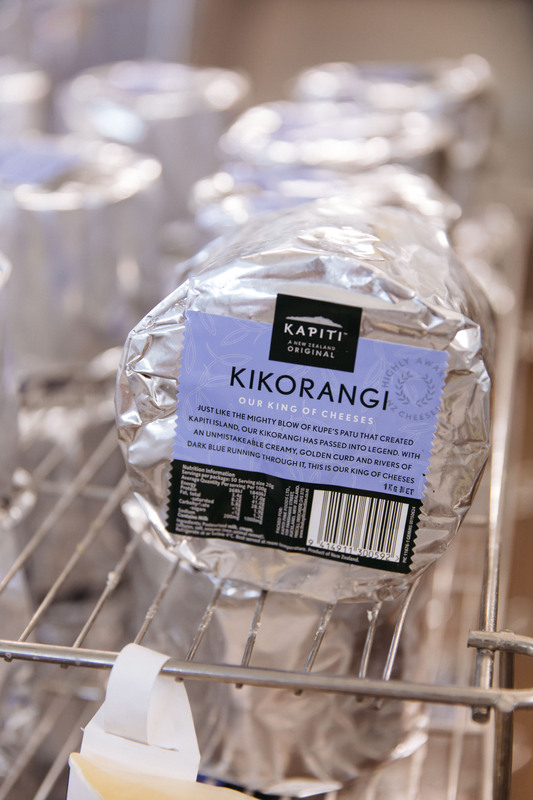 At The Kapiti Store, you can sample some of the country’s best cheese and buy them fresh or packaged to bring home. As a frequent host to my friends and family back home, the tips I picked up here were so handy it would be selfish of me not to share! It isn’t difficult to please a crowd simply with some specialty cheeses on hand. A great cheese board needs little embellishment and takes little effort to put together. Keep the board uncomplicated, unpretentious and let the cheese platter shine. 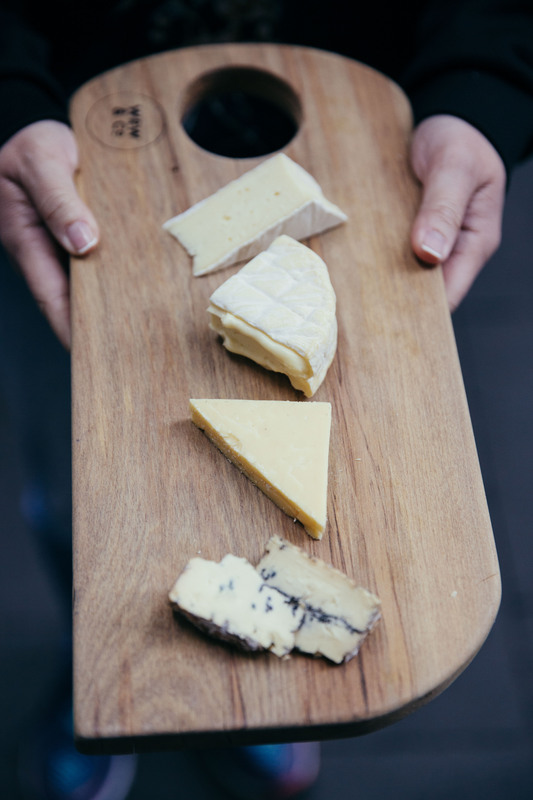 Choose from a variety of categories so there is something for everyone, like three to four cheeses that vary in taste, texture and appearance. I bought a few Kapiti artisan cheeses this time, ranging from creamy, salty, mild, firm to sharp and pungent. Bring the cheeses to room temperature for up to an hour before serving. Remove the packaging and scrape the cheese surface to bring out the full flavour and character of the cheeses. I like to serve my cheese with wafers, so I typically cut the cheese into slivers. But a variety of chunks and cuts work wonders on a platter, so try cutting into thick wedges or cute triangles as well. Arrange cheese in order from mildest to strongest, and if you can, serve each cheese with its own knife to avoid mixing flavours. For guests with a sweet tooth, I usually add a seasonal fruit preserve or even a little jar of honey on the side, as well as a few berries for an unexpected pop of colour. 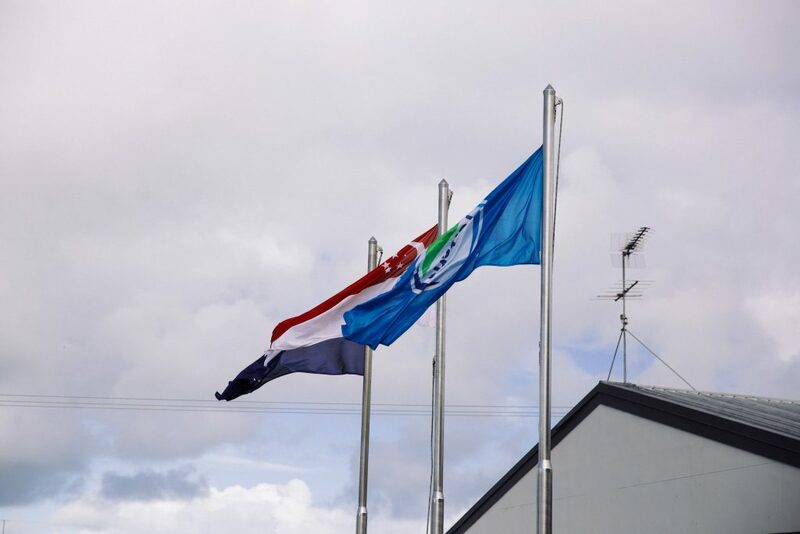 Even at a time of increasing urbanisation, the dairy industry is a key contributor to New Zealand’s economy – with 95% of the milk produced exported around the world, over $1 billion invested in dairy innovation in the past ten years, and more than 22,000 people hired globally by Fonterra. What does this mean for New Zealanders, and the country’s food culture?